Founded in 1974 as an international workshop and forum for ideas, Kala Art Institute provides exceptional facilities to professional artists working in all forms of printmaking, digital media, photography, and book arts. 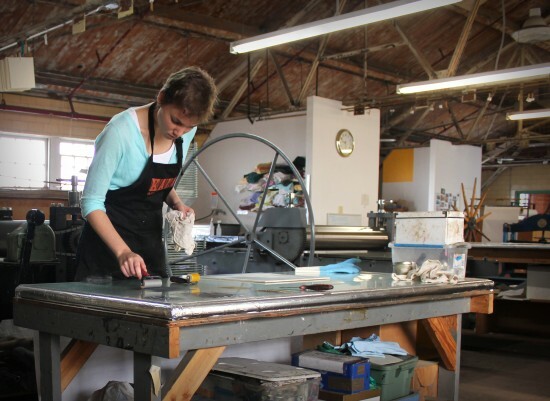 Located in the former Heinz ketchup factory in West Berkeley since 1979, Kala’s 15,200 square foot facility houses an extensive array of artmaking equipment, as well as a public exhibition gallery, an art library and an extensive print archive. Ellen has been an artist in residence at Kala since 2009.